Are Your Headache Tablets Actually Giving You A Headache? Leave a Comment on Are Your Headache Tablets Actually Giving You A Headache? I get it because I’ve been there and got the t-shirt. You begin with a single headache, then for whatever reason, this then becomes a more regular occurrence, before suddenly you realise that you have finished yet another pack of Panadol and are desperate for more. But what starts as a quick fix to eliminate your headache, suddenly no longer works no matter how often you take them. But why? Welcome to the world of medication overuse headaches. What Are Medication Overuse Headaches? Painkillers such as aspirin and paracetamol that are obtained over the counter and without prescription are designed to treat mild to moderate pain and shouldn’t be used for more than a few days at a time. So if you find yourself reaching for those headache tablets 3-4 times a day for weeks, months or even years on end like I did, I highly recommend you contacting a healthcare professional to give you advice and helping you address this problem. Don’t be too hard on yourself though, it’s so easily done because nowadays we live in the convenient world where there is ‘a pill for every ill’. You name it, the pharmaceutical industry has created it and because our lives are so fast-paced and super busy, of course we are going to turn to the quick fix. We are only human after all. Now, I’m not knocking painkillers because for short-term use they are magical. Not too long ago I had a tooth out and they didn’t leave my side for a couple of days. 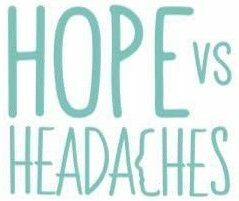 However, after suffering from medication overuse headaches and withdrawing from all painkillers including strong opioids, it taught me to take a step back and look at why these headaches were happening. If you had a house plant and it started to die, you wouldn’t just paint the leaves green, would you? No, you would get to the root of the problem and give it water in order for it to grow again. Our bodies are exactly the same. Your headache is happening for a reason and it’s our job as masters of our bodies to find out why. If you can relate to this article please reach out to a medical professional for advice and treatment on medication overuse headaches.